Being well just got a whole lot easier for New Yorkers, who will be getting a month of free and low-cost wellness classes and services this February through a brand new app called TagWell that is making wellness more social, rewarding and accessible than ever before. The first inaugural NYC Heart & Happiness Month to prevent women’s heart disease kicks off February 1st at the New York Road Runners (NYRR) Run Center with a full day of workshops from 9-6pm and an expert panel discussion from 6-7:30pm, where press contacts, wellness enthusiasts and the public are all welcome. With the support of outstanding organizations such as the Manhattan Chamber of Commerce and New York Road Runners, TagWell and some of the best wellness providers in NYC are proud to join hands in this groundbreaking partnership to raise awareness and funds for the American Heart Association’s Go Red for Women® Campaign. Wellness seekers can join the TagWell community over iOS, Android and the Web, where they can access all of the free and discounted wellness classes, events and workshops being donated in support of NYC Heart & Happiness Month. 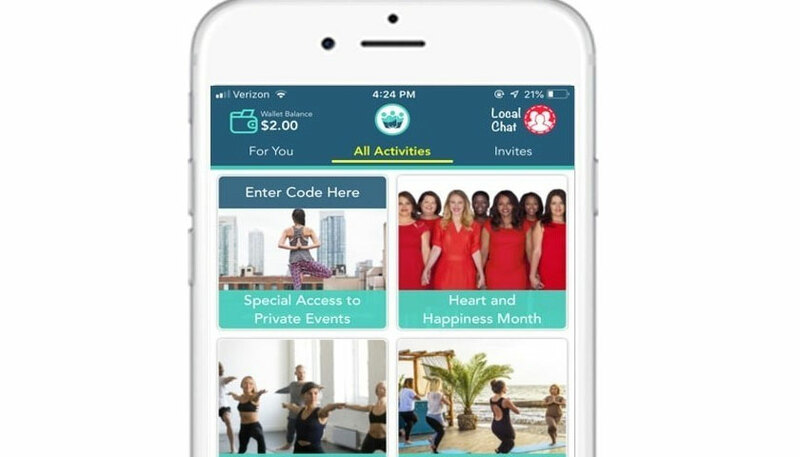 New users are even being gifted dollars in their TagWell Wellness Wallets which they can redeem with TagWell’s growing network of local nutritionists, fitness trainers, juice bars, yoga teachers, relationship coaches and other wellness providers. TagWell — an NYC-based tech startup that also provides business software for wellness providers and wellness apps for buildings and corporations — has launched NYC Heart & Happiness Month as part of its mission to empower New Yorkers to be well with support from local wellness experts and their communities. TagWell Technology turns the basic human need to feel well into a social and motivational experience, delivering seamless access to personal wellness services and support for the first time. All app users get a unique experience based on their location, interests and goals and can communicate, engage, share, discover, book, earn rewards and motivate each other to live healthier and happier lives. Malhotra will be joined on the expert panel on February 1st at the NYRR Run Center by Marwah Abdalla, MD, MHP, Clinical Cardiologist, Cardiac Intensivist, and Assistant Professor of Medicine at Columbia University Medical Center; Jennifer Summer, PhD, Assistant Professor of Behavioral Medicine at the Center for Behavioral Cardiovascular Health at Columbia University Medical Center; and Ismael Galvez, founder of Terra Medicus, which provides workplace Health and Safety training Compliance in CPR. As TagWell Co-founder Chris Bradicich explains, at the core of its Heart & Happiness campaign is the simple and powerful concept that the key to preventing disease is a holistic and community-based approach to wellbeing.